With up to three seasons per year, the training never stops. We strive to be at our fittest, both mentally and physically, so we’ve partnered up with Ruck Science, the rugby nutrition supplement company. With this partnership, 10% of every purchase will go directly to our team and can aid our goal in becoming bigger, better, and bluer. Made by ruggers for ruggers, Ruck Science’s products are designed specifically for the rugby player who wants to enhance their performance and recovery. 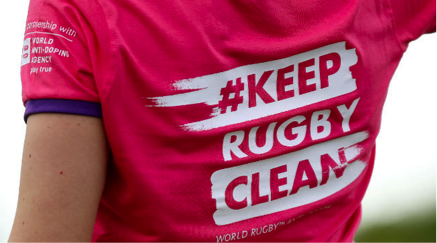 Ruck Science’s goal is to ‘sponsor every rugby club on the planet’ and we’re excited to be a part of that vision. They are founded on cultivating the rugby community and creating diverse, quality products knowing first-hand that each player possesses different goals. Their products have carefully selected ingredients chosen to enhance strength, endurance, and concentration all while in compliance with the World Anti-Doping Agency (W.A.D.A) banned substance list. Although I am readily inclined to trust any product that ‘will get you to Sunday brunch and beyond’, I encourage you to try Ruck Science out for yourself! Tell your friends, your family, or even that person in the gym who you can squat more than. Every purchase helps our team grow and shows that we’re committed to our performance and the game. Unsure about committing to a product? Try a sampler stack! If you are currently committed to another brand of supplements or choose not to use supplements, that’s okay! There is no obligation to choose Ruck Science, but we do encourage you to explore their wide variety of products and see if there’s something that helps your training and performance on the pitch. It’s a great way to support our team and the sport!